Hello Friends! Today we took delivery of some amazing new fabrics and couldn't wait to share them with you. Here is a small sample of our new arrivals! These Poppies are just gorgeous! Prism Galaxy Ribbon is a beautiful luxury ribbon that is a blend of 95% Nylon and 5% Metallic Polyester and comes in hanks of 54 yards. Galaxy knits to a gauge of 2.5 sts per inch on a US #15 needle, or 2 sts per inch on a #19 needle. Use this ribbon alone to create spectacular gaments or mix in to give your scarf or sweater a special one of a kind look! Galaxy is a very wide nylon railroad style ribbon with intermittent patches of gold or silver metallic. 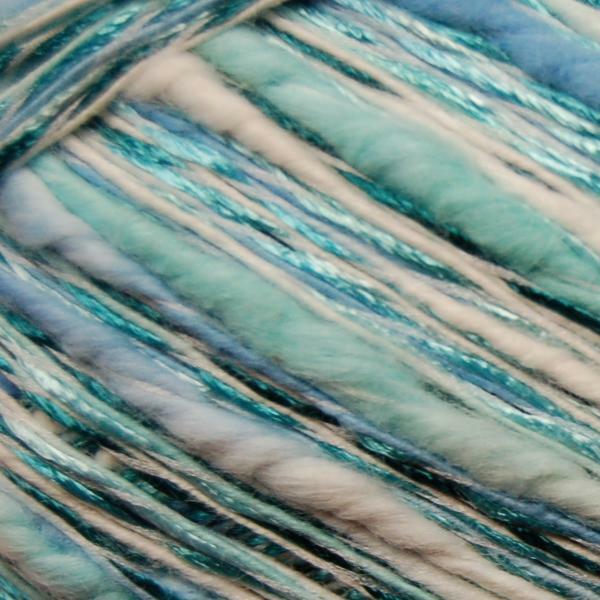 The yarn can be knit densely or very loosely. It also makes spectacular fringe. 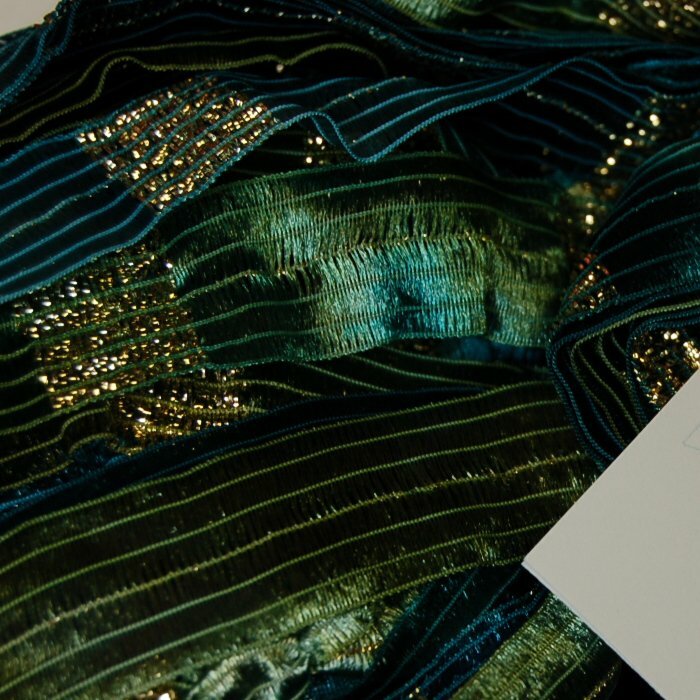 The knitted fabric is silky and yet has body, and the metallic is very noticeable (and fabulous).